Property Size 1,876 sq. ft. This is an ideal condo for 2-3 couples with children or a group of 8 adults max. We take the guessing out of booking a vacation rental home; our calendar is ALWAYS up-to-date! If this one is booked, be sure to check our other 3-bedroom condos in Jade East Towers: Jade East 16, 20, 65 and 75. This condo has been completely remodeled and professionally decorated! You can see that all the improvements were made with our guests in mind, including new flooring, lighting, appliances, fresh paint throughout, new furniture, rugs & custom draperies, upgraded Egyptian Cotton Sheets, all new quilts, and all new kitchen items including professional cookware, Keurig K-cup coffee maker and more. If you’ve never been to Jade East Towers before, you are in for a treat. Once you see this gorgeous condo, you’ll never want to vacation anywhere else. This condo is on the 6th floor and features 3 beautiful bedroom suites (King, King and one containing 2 Queens) each with private bathrooms, luxurious finishes throughout and views from every room. The open floor plan of this condo features spacious living areas with floor-to-ceiling windows that allow the light & Gulf views to fill the rooms. The comfortably elegant new furnishings in the living area provide plenty of seating for everyone to relax and enjoy the views. A roomy sectional (with a sleeper) and two comfy side chairs invite you to settle into that vacation frame of mind. The 50" Smart TV is mounted above a stunning, contemporary cabinet, and there’s also a Blu-ray player, in case you want to unwind with a favorite movie, and a Bluetooth receiver with speakers to enjoy your own music selections. If you [unfortunately] have to work while away, we have provided an optimal work environment. You’ll have the best view of the beach while working. There is a dedicated internet connection to rapidly VPN into your work’s servers which minimizes the time you have to spend working. And of course, for all your i-thingys there is also FREE DEDICATED WiFi (the rest of Jade East is on a public wifi network). There's even a wireless printer, just in case you need it during your stay. When you want to smell the sea air as you enjoy the view, step out onto the large balcony with stunning 180-degree beach views. Enjoy your morning coffee or dinner al fresco at the large table and chairs; the sunrise and sunset views are just breathtaking! It may be hard to get you back inside – but when dinner’s ready, you’ll want to be the first one seated at the beautiful, glass-top dining table. The table seats 6 people in lush, upholstered chairs, and there is seating for more on comfortable leather stools at the bar. The Brand New custom kitchen has spacious cabinets, Quartz counters, tile back splash, and brand new stainless steel appliances, pleasing the chef in any family! You will appreciate the under-cabinet lighting and the abundant cabinet and counter space – there’s even a pantry for more storage. We want you to feel at home, so we have thoughtfully equipped this kitchen - everything is brand new! You’ll find a toaster, hand mixer, blender, a crock pot, plenty of dishes, flatware, professional cookware, Keurig K-Cup coffee maker and a regular drip coffee maker. The pantry is also stocked with a few essentials to get you started like spices, foil, cream, sugar, etc. This incredible master bedroom has floor to ceiling windows on two sides so that you can enjoy the view from the brand new king Bed and wake up to amazing views of the Gulf. You also have a sliding door to the balcony, so you can slip out and enjoy the ocean air and views anytime. Your bed will be made with super-soft Egyptian cotton sheets, new fluffy pillows and a brand new luxurious quilt. But, in case you do not want to wake up too early, we also have brand new room-darkening draperies. There are two night stands with reading lamps, as well as a 32" Smart TV. There’s a lovely cane chair near the window to relax and enjoy the view, as well as a convenient bench at the foot of the bed. There’s also an extra-large walk-in closet in the luxurious attached bathroom. This incredibly spacious bathroom is attached to King Master Suite (Bedroom #1) and features new custom tile work throughout, an extra-large Quartz vanity with two rectangular vessel sinks and a private commode. You’ll appreciate the inviting jetted tub, large custom glass shower, big fluffy bath towels, personal hair dryer and the very generous space in the closet, which features built-in drawers. You'll find an iron & ironing board there too. This bright and spacious bedroom is in the center of the condo and has 2 queen-size beds with super-soft Egyptian cotton sheets, and lovely new quilts. It has a large window with distant views of the bay and a 40" Smart TV. The windows are dressed with beautiful custom draperies that, when closed, allow for sleeping late or catching a nap while on vacation. A double closet and large dresser provide ample space for your things. Your full bath is next door and you can close the pocket door to the hallway for a totally private suite. This well-appointed bathroom includes a new pedestal sink, commode and beautiful tile tub/shower combination. You’ll also welcome the large, fluffy bath towels and personal hair dryer in this bathroom. It’s located next to the Suite with 2 Queen Beds (Bedroom #2); you can choose to close the pocket door to the hallway for a private suite, or leave it open to the hallway. This lovely, private bedroom at the front of the condo features a King Bed with 100% Egyptian cotton sheets, beautiful new quilt and a 32" Smart TV. Double windows with distant views of the Bay, and room-darkening curtains make it easy to sleep in or catch a mid-day nap while on vacation. Two bedside tables with reading lamps and a large dresser and double closet add to the comfortable features in this room. An attached full bath completes this lovely private retreat within this amazing vacation home. Attached to King Master Suite (Bedroom #3), this bathroom has a Quartz vanity with gorgeous glass vessel sink, commode and custom tile tub/shower combination. You’ll also appreciate the big, fluffy bath towels and a personal hair dryer in this beautiful private space. There’s also a new, full-size washer and dryer in this home for your convenience. Jade East Towers is a unique resort located right on the beach in the heart of Destin. Enjoy an evening game of tennis on the lighted tennis court, get some exercise on the basketball court, or take a stroll down the beach… it’s all up to you! Private parking, a gated entrance, pool & hot tub are amenities you’ll enjoy while staying at this premiere resort location. Nearby activities and attractions include countless restaurants such as Another Broken Egg for breakfast, Fudpucker's for lunch and the Back Porch for dinner. Big Kahunas Water Park is located directly across the street where the kids can enjoy water slides & pools, go-carts, bumper boats, the arcade, and much more! The Silver Sands Outlet mall is not far for those who enjoy “retail therapy”! Don’t wait as this unit books up fast! Contact us to schedule your vacation in Paradise! 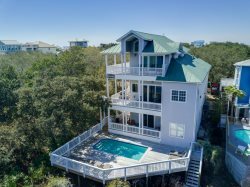 Jade East is located in the heart of Destin. This is a primo, upscale property that can be booked nightly any time of the year.